Absolutely, definitively alone, a young Jewish student in Romania tries to make sense of a world that has decided he doesnt belong. Spending his days walking the streets and his nights drinking and gambling, meeting revolutionaries, zealots, lovers and libertines, he adjusts his eyes to the darkness that falls over Europe, and threatens to destroy him. 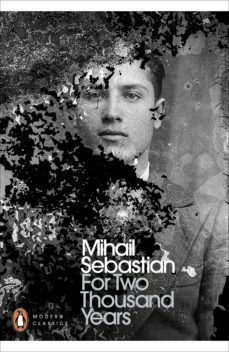 Mihail Sebastians 1934 masterpiece, now translated into English for the first time, was written amid the anti-Semitism which would, by the end of the decade, force him out of his career and turn his friends and colleagues against him. For Two Thousand Years is a prescient, heart-wrenching chronicle of resilience and despair, broken layers of memory and the terrible forces of history.